Well known for their CNC machining and their anodized colours, Hope stand out from the rest of the competition with their premium quality products. Hope Technology is a bicycle component manufacturer based in Barnoldswick, Lancashire. They manufacture almost all bicycle components and have now branched into the accessories market making clothing, lights and tools. All components are manufactured at the site in Barnoldswick which allows them to have total control in terms of premium quality assurance. Exporting half of their production to 40 countries internationally, Hope have a first class reputation for quality and reliability. Ian Weatherill and Simon Sharp met whilst working together at Rolls Royce Aerospace. Their time working there gave them the skills and experience to leave and start up their own tool making business called IPCO. They were also avid motor cyclists and mountain bikers. However, the simple cantilever brakes on their mountain bikes didn’t meet the standard of their trials bike disk brakes. Therefore, with help from employee Owen Hardisty, they engineered their first cable operated disk brake for mountain bikes. 1990 – IPCO moves from their small factory in Nelson to an extensively bigger factory in Colne named the ‘Hope Mill’. 1991 – After a period of manufacturing brakes and hubs for themselves and friends, Hope Technology formed and put on sale the mechanical disc brake which started them off. 1991 – Hope create their first 6 bolt specific hubs resembling those of motorbikes. 1992 – Hope hit the big time across the pond at the Interbike in the USA. All 14 of their brakes were displayed on bikes in the show room. 1992 – Sales start to come in from the USA. Hope setup an overseas office to service US sales. 1992 – Investment is made in a CNC machine. 1994/1995 – Hydraulic brakes become a thing. 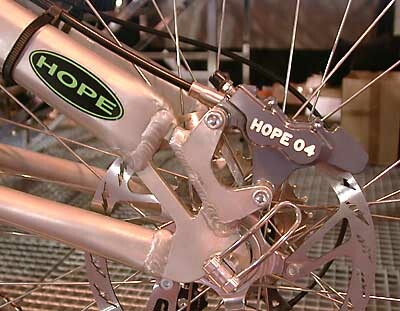 Hope introduce their first hydraulic, twin disc brake at Eurobike. 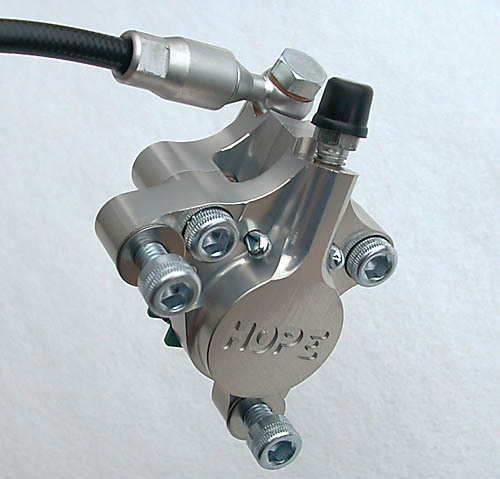 1996 – Many pro riders begin to use Hope hydraulic brakes regardless of sponsorship obligations. 1996 – Hope hit gold with their first Grundig Downhill World Cup win by Rob Warner. 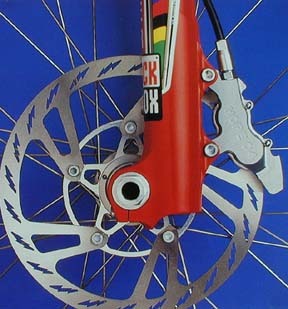 1997/1998 – DH4 downhill brake gains coverage at Interbike, Las Vegas. 1997/1998 – Hope move premises again to Barnoldswick which had an area of 39000 square feet. 1999 – Hope release the XC4, the World’s lightest disc brake system. 2001 – Hope manufacture a 6 bolt sport hub which allows for fast, easy fitting of disk brakes. 2002 – Headsets and bar ends are added to the range of products. 2003 – The Mono6ti brake is born. 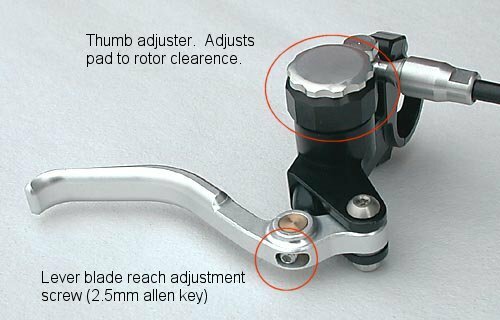 Using technology still used today, the one piece brake offered unrivalled lever sensitivity. 2005 – Hope begin to manufacture bicycle stems. 2006 – The Vision HID light is released. Hope capture another part of the market which is unrivalled. The publics need for a powerful light meant that Hope benefitted well from such a simple product. 2007 – Vented braking, wheel sets and LED’s join the formidable Hope product range. 2008 – Another move of premises! Still in Barnoldswick, just larger with an overall area of 56000 square feet. 2011 – Hope replace the Pro 2 hubs with the Pro 2 Evo hub. 2012 – You guessed it, yet another move of premises. Fortunately, Hope are still located at Hope Mill in Barnoldswick. A bigger premises again with 89,000 square feet of room. 2013 – David Cameron visits Hope as a part of the “Get Britain Cycling” campaign. 2014 – A new downhill brake, the Tech 3 V4. One of their most advanced brakes yet. Working with the same ethos as they started out with, Hope are still ahead of the pack in terms of premium quality products which sell themselves. When the rider knows how good the product is, there’s no need for a sales man. They let the product do the talking. Hope still reside in Barnoldswick and don’t have any plans on moving abroad. Why fix it if it isn’t broken? Tagged brakes, disc braked road bikes, disc brakes, Downhill Biking, evo, freehub noise, freewheel, headsets, hope, hope r8, hopetech, hubs, hydraulic, lighting, m4, mini, road disc brakes, youtube. Bookmark the permalink.